Snuggled between Latvia, Belarus and Poland, Lithuania is a country full of natural beauty, medieval nostalgia and delicious food. 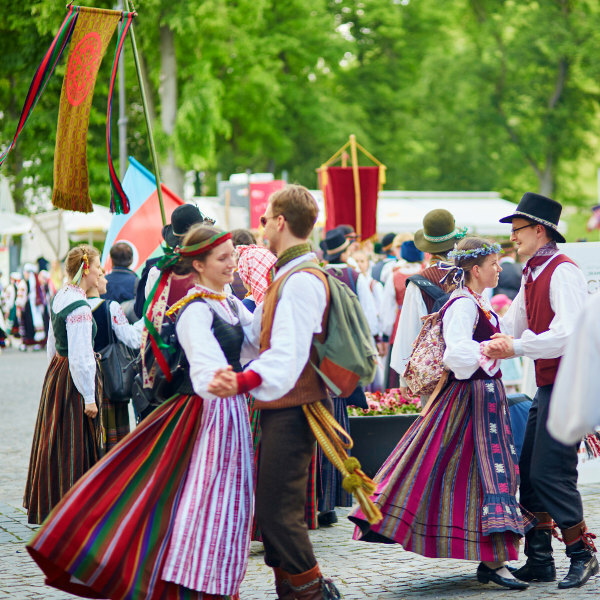 Lithuanians are full of culture and rich tradition, and the country has a population of more than 2.8 million residents. Popular tourist attractions include Trakai Island Castle, Vilnius Old Town and Curonian Spit National Park. Get ready for a trip to a hidden Baltic masterpiece because cheap flights to Lithuania are now available for a limited period of time! Vilnius, the capital city of Lithuania, is home to Vilnius Airport (VNO), located on a 15-minute drive from the city centre or 20-minute train ride. 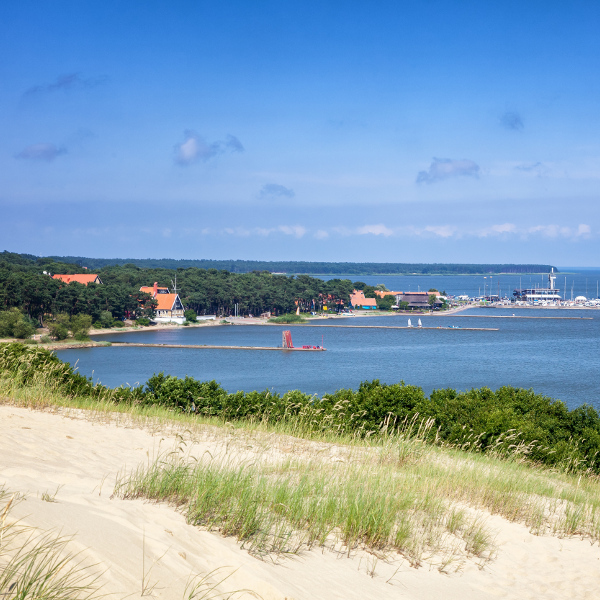 The coastal towns of Nida and Neringa are located on the Curonian Split, and sport some of the most magical dunes and beaches that you’ll find in Eastern Europe. Don’t forget to try the fish too – herring, catfish, mackerel and more! In the capital city of Vilnius is where you’ll find one of the most spectacular Old Town’s in all of Europe. The architecture reflects Italian renaissance, baroque and Russian Byzantine styles. Walk the streets of this ancient town for a trip back in time. Wooden bells and shepherd’s horns are just two of the uniquely Lithuanian musical instruments that you’ll find yourself dancing to at the numerous festivals in the country, across the high-rise cities and quaint country towns. Lithuania is well-known for its cold and icy winters, and it’s this dream of a Winter Wonderland that adds to the experience of this beautiful country. Winter can see minimum temperatures of -5°C between November and February, so make sure to pack in extra fleecy undies to keep the cold at bay! For warmer temperatures, consider visiting between late spring and summer. The heart of summer is between July and August, and you’ll be enjoying some great Baltic highs of between 21°C and 23°C. Regardless of the season, it’s always a good idea to pack in a pair of wellies as the weather can often be unpredictable. 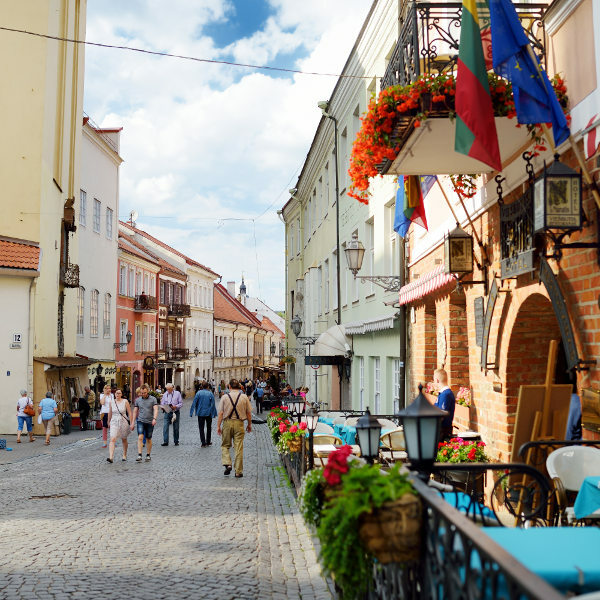 One of the great things about the countries in Eastern European is that unlike the more popular destinations across the continent, it’s very affordable and you won’t have to spend an arm and leg to enjoy what Lithuania has to offer. Inexpensive meals can be bought for under R100 and drinks for R25. For those looking to splurge a bit, there are some great restaurants and upmarket bars in the capital city of Vilnius for you to enjoy. Food in Lithuania may be relatively unknown but you’ll be guaranteed to love its homey options. From cold beetroot salads to savoury-filled potato dumplings – the options are delicious and will definitely have you licking your lips! If you love the feel of a fairy-tale destination, then visit the famous Trakai village, just 30 minutes from the capital city. Here you will find the medieval Trakai Castle, surrounded by the beautiful lakes of the country. Perfect for daydreaming about your past royal life! Compare several airlines, and book your cheap flights to Lithuania online with Travelstart! Lithuania is a safe country to visit and as it is less popular than other European destinations, you will not be bothered by large crowds when visiting top attractions. In the bigger cities such as Vilnius and Kaunas, pick pocketing and other forms of petty crime do occur, so please be aware of this. If you are renting a car, make sure to park it in a designated parking area and to set the car’s alarm whenever you are not driving, as break-ins do happen. It is always important to go for a general health check-up before a trip overseas. It is best to do this 4-6 weeks before your trip. For your trip to Lithuania, it is recommended to get a vaccination against hepatitis A, as well as hepatitis B and rabies.